Allison has been back working hard in the sweatshop, kidding, but not really. After discovering a couple of amazing new fabrics, it was time to create. Trust me when I tell you that I want everything, starting with the anna maxi skirts. The theme of today, 8/15, is Maxi Mayhem which is very appropriately named. Maxi skirts are perfect for any occasion. Seriously. You can wear them for a casual brunch with your girlfriends or dress it up for date night. 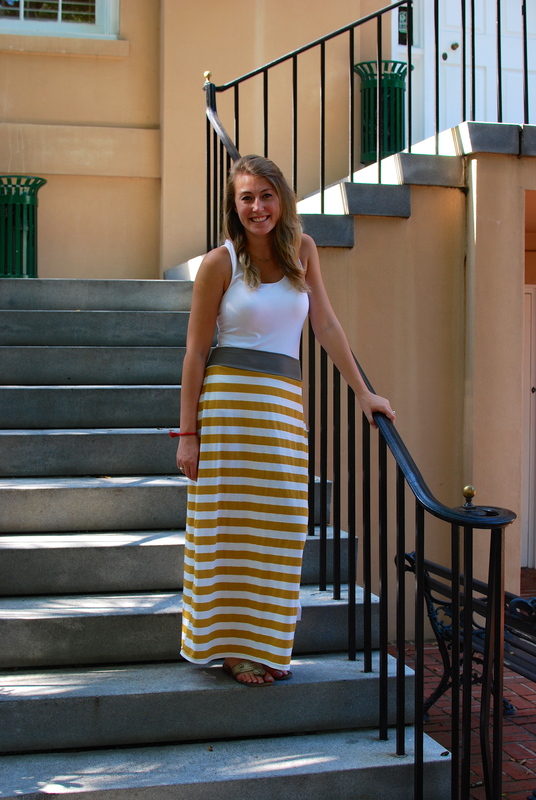 You can also wear these skirts in the summer, fall, and spring–probably one of my favorite features about maxi’s. What I love specifically about allie mac’s maxi skirts are that all the patterns are adorable. You can’t go wrong picking one out! 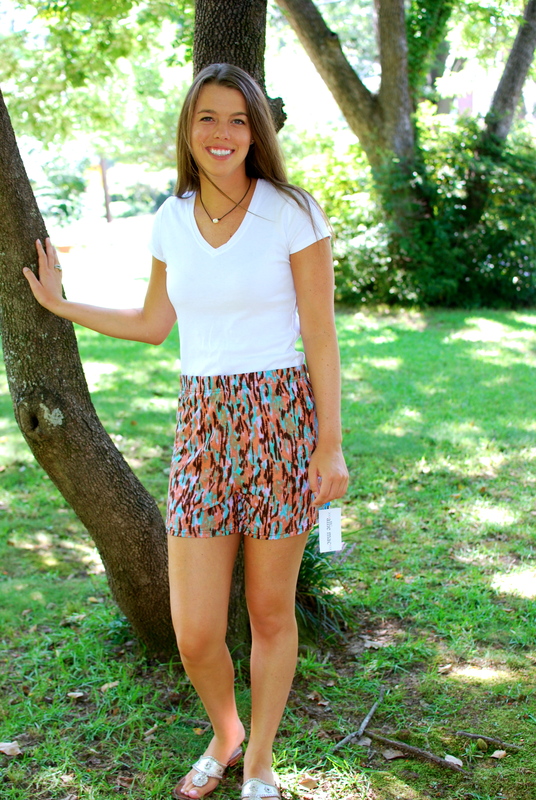 There are many reasons why everyone here at Allie Mac loves shorts. Southern summers are different from regular summers–that being they last until about mid september. There is a specific criteria I use for summer and early fall clothing: lightweight. I like chic and stylish, but I must be comfortable. That’s why I’ve become mildly obsessed with the Allie and Rachel shorts. My j-crew allie shorts have become a staple item in my wardrobe this summer. The material alone makes you want to wear them everyday. Add the vibrant and charming patterns and I’m surprised when I don’t have them on. Allison has added two new patterns–eek! The Rachel shorts are just as amazing. The more structured look allows you to wear them for a more formal occasion while still looking stylish and feeling comfortable. Finally, we get to talk about the susu skirt. I love everything knit material because they have amazing patterns yet are extremely comfortable. The susu skirt fits the criteria of the perfect skirt. This “yoga” type style allows for comfort all day, yet the bold patterns dress it up so you still look fashionable. 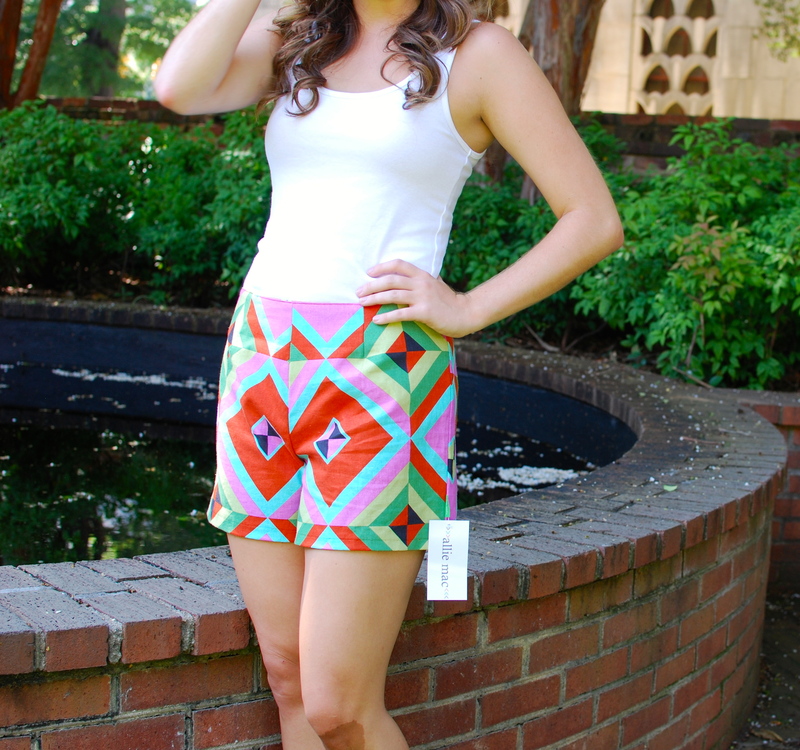 This is also a great transition skirt for fall. You can wear it now with some sandals and then later again with a great pair of boots. What’s not to love? Basically, everyone here at Allie Mac is obsessed with the new arrivals and we hope you enjoy them just as much as we do!